Last Friday was the first group benefit that Project Philippines hosted and it was great! I am constantly amazed by the creativity and gifts of my teammates and the night of performances was so inspiring. I performed a short bassoon solo and had such a fabulous time performing for such a warm, supportive room full of people. "Pa salubong" or "something for when you welcome me" is a Filipino tradition of giving a small gift or remembrance. 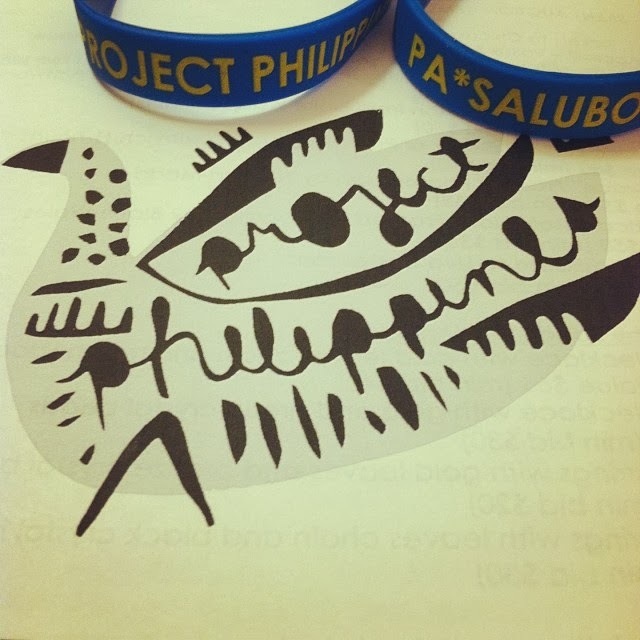 It represents friendship and exchange and I think it was the perfect phrase to write on our Project Philippines bracelets. The bracelets (pictured here) were distributed to the guests at the event and I think it very nicely welcomes everyone into joining our cause and project. Thank you to those great friends who came out to their support!